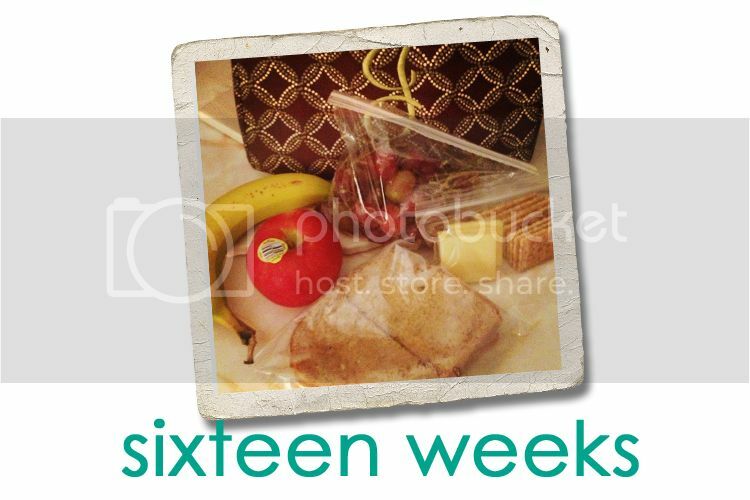 Jordy Liz Blogs: Sixteen weeks. We are officially four months along. I like the monthly markers when I can speak in full months and not weeks which tend to confuse others. So we're an even four months. Eating has become a second job for me as I work tirelessly each morning to load up my lunch bag with enough food to get me through an eight-hour workday with breakfast, lunch and snacks. Peanut butter toast and a banana for breakfast at 8, an apple at 10, lunch at noon, grapes at 2, and cheese and crackers right when I get home around 4. And then there's dinner and then an after-dinner snack. Besides keeping up with my hunger, I've been feeling really good. I am settling into being pregnant with you and it's become much more normal than it has been the last couple of months. And then I felt you move. When I was sitting at my desk today, I felt a flutter in my stomach that caught me by surprise. I ignored it, sitting still to see if it would happen again. It happened again - like little carbonated bubbles popping simultaneously. Later in the afternoon, I felt it again a couple of times. You're really in there, and I know this, but it's sometimes hard to imagine. We had our first two ultrasounds with you within two and a half weeks of each other. Now going on four weeks without one, it's harder to find reassurance that you're safe and sound. I know you are, but the flutters are such an assuring reminder. Stay safe and sound in there. And feel free to flutter as often as you'd like. I loved the fluttering too. Isn't it the best? I loved feeling my babies move... and it's the only thing I miss about being pregnant. :-) Enjoy!